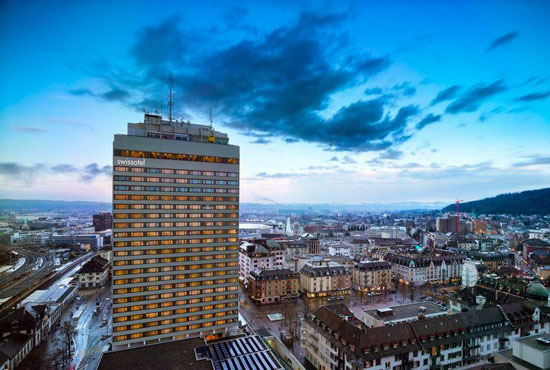 Swiss Leaders Dialog connects business leaders, suppliers, consultants and scientists in personal meetings to search for answers to the challenges of global business transformation. The first edition focuses on the radically changing ways we work. Changes are caused by technologies, organisation forms and business models of the digital transformation that requires new strategies and methods from HR and other stakeholders. HR development, leadership management, HCM and talent management need to be adapted. Digital life changes the war for talents in a connected, participative and competence-driven yet non-hierarchical culture of performance. In this process the decentralization of work brings new opportunities for HR management. New ways to work: Mobile and home working as well as flexible working models help HR to hire promising candidates and balance a lack of workforce in specific regions. New ways to learn: Internal and external online knowledge and competence platforms along with new software solutions finally enable effective e-learning and collaborative innovation. New ways to hire: Social media needs to be handled actively in the recruiting process. Intelligent software helps with this. New ways to collaborate: Decentralized teams become more efficient and productive with new collaborative solutions. New ways to develop people: Cloud-based intelligent talent management solutions make basic HR work much more efficient and possible in a digital world. New ways to compensate: In a decentralized working environment old compensation and benefits models don’t work properly anymore and need to be replaced with new solutions.